some Les Paul collector friends of mine. 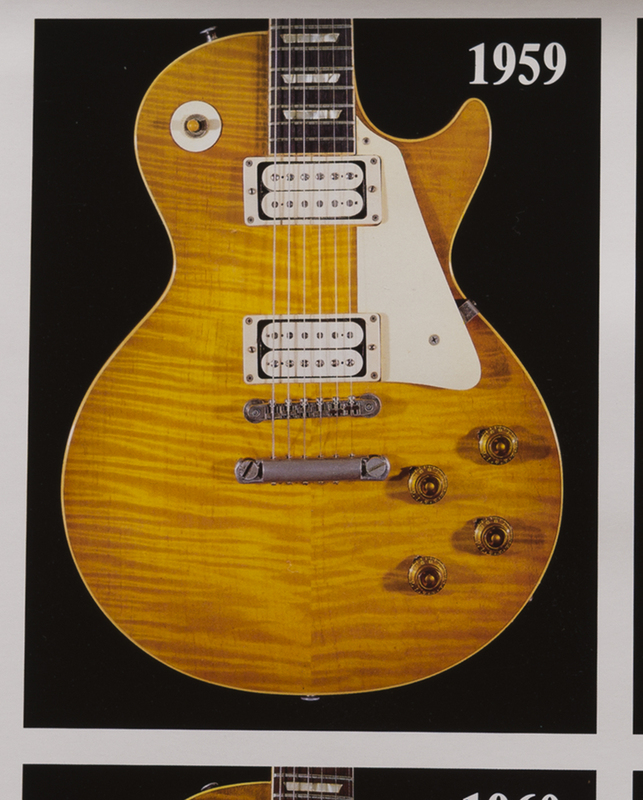 The guitar appeared in the #1 position, (upper left hand corner) of Tom Whitrock's fabulous "SUNBURST" Les Paul poster which was published back in 1990. Tom was 1 of the earliest pioneers of collecting "Sunburst" Standard Les Pauls as well as being 1 of the founders of the Les Paul Forum. This guitar has also appeared in the "Beauty of the Burst" book as well as all of Vic Dapra's "Burst Believers" series books too. 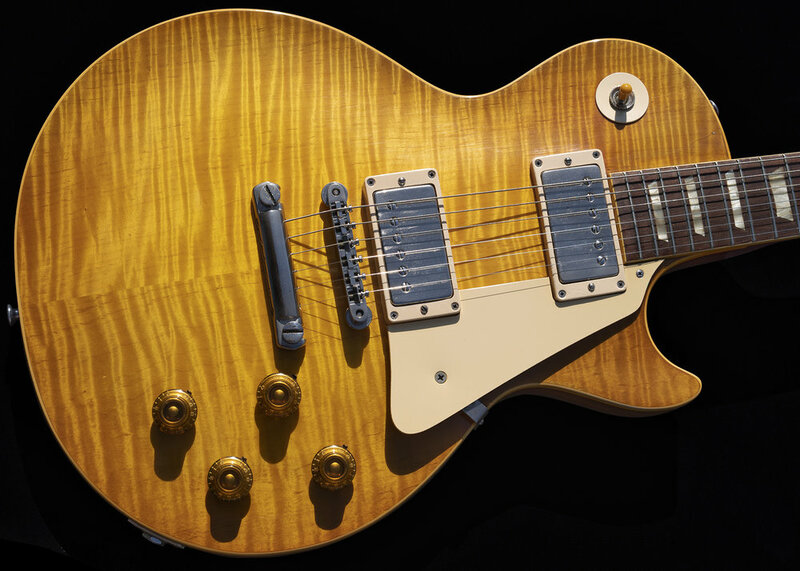 The guitar has one of the best looks and vibes of any Les Paul Standard that I have owned and is 1 of the Top 10 best looking Flame Maple tops of all that have been made.